E.T. 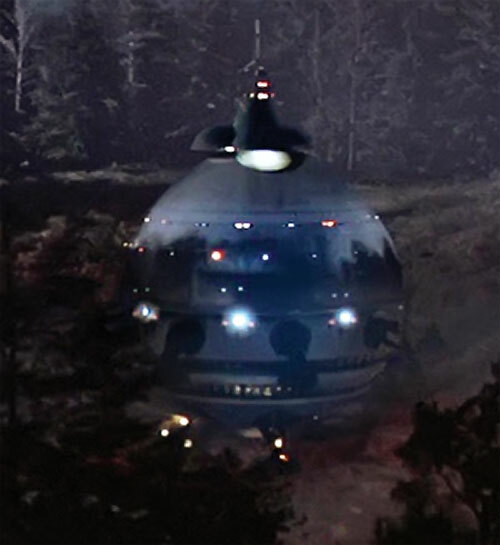 the Extra-Terrestrial was a landmark 1982 movie. Critics acclaimed it as a timeless story of friendship, and it ranks as the best science fiction film ever made in a Rotten Tomatoes survey (98%). It also was a blockbuster, surpassing Star Wars as the most financially successful film released at that point. 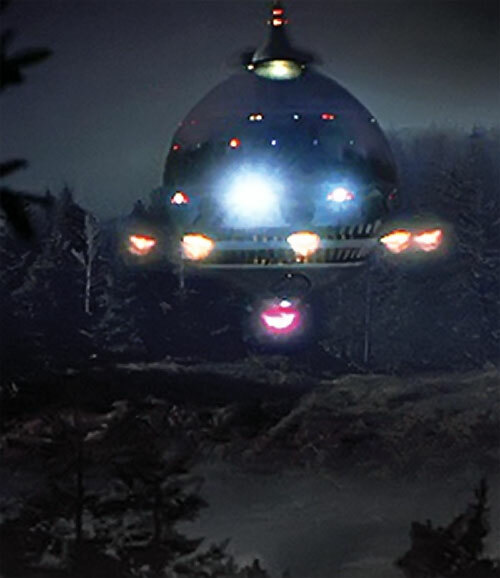 The film was re-released in 1985, and then again in 2002 with altered special effects and additional scenes. 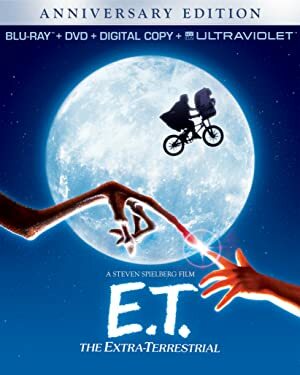 Spielberg believes E.T. epitomizes his work. 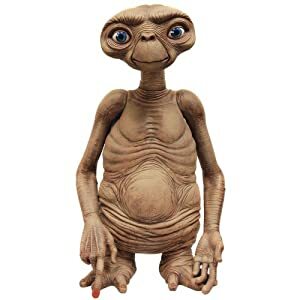 The movie is about a hapless space alien who ends up stranded on Earth, and becomes friend with a little boy who helps him stay alive and return home. Group Affiliation: Scientific research team. Base Of Operations: Arrived in California. Height: 3’0” Weight: 35lbs. Age: Unrevealed. E.T. is a scientist. He’s physically weaker and smaller than a human, but has superior mental faculties. He’s also able to move objects with his mind alone. Empathy allows E.T. to feel the emotions of others in his group while Broadcast Empath lets his group know his feelings. 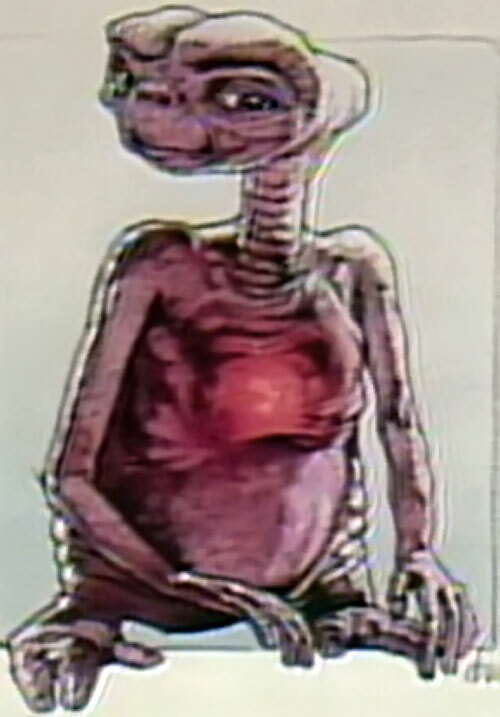 At one point, E.T. watched a scene from the Quiet Man and Elliot re-enacted in real-life what was seen on-screen. 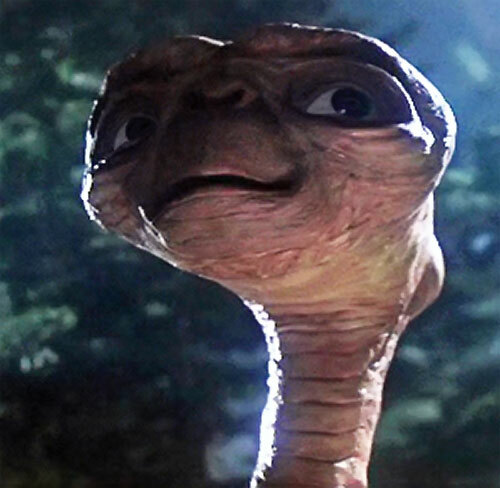 When E.T. drank beer at home, Elliot burped at school and showed signs of being drunk. Another time Elliot screams for no apparent reason and when asked what was wrong he said, “I don’t know…something scary”. E.T. learned how to speak (some English) in a day, certainly aided by his empathic link with Elliot. He is adept at blending into his surroundings and once hid in plain sight pretending to be a stuffed animal. E.T. can extend his neck about two feet. Running is not impeded by his short legs; E.T. may run with a bounding gait by using his elongated arms. E.T. was able to adapt human technology to get the result that his own technology could make. He built a communications device to send out an S.O.S. to his own kind, since they were out of range of his Empathic link. Note that E.T. may have come to Earth multiple times before, explaining his familiarity with human tech. This is unknown however, technology would be alien to him and put him at Difficult on the Universal Modifier Table. The “phone” he built would not be as difficult since he is creating something he already knew how to make from his world but using our technology. Once he mastered our technology on a difficult roll, he wouldn’t have to worry about the modifier after that. 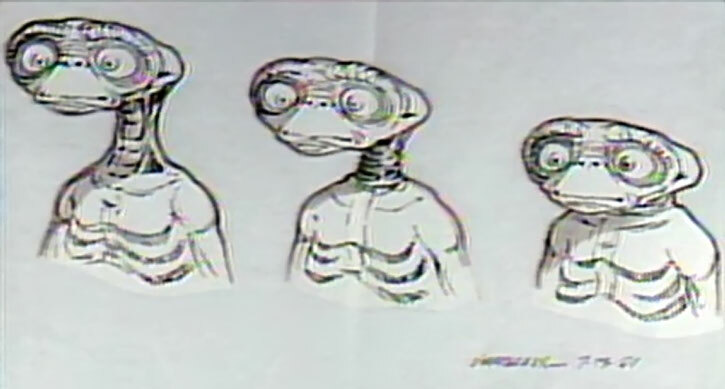 To become part of E.T.’s group, E.T. must contact the being to be added empathically (in DC Heroes terms they must be within Range). All that is needed is for the being to accept him. After that they are linked for life or until E.T. breaks the link. Non-intelligent plants may be added automatically. There is a significant moment in the movie when Elliot considers other’s feelings. He has just had an argument with his mother, and Michael his older brother is angry with him and asks if he ever considers other’s feelings. Elliot looks out the window thoughtfully. 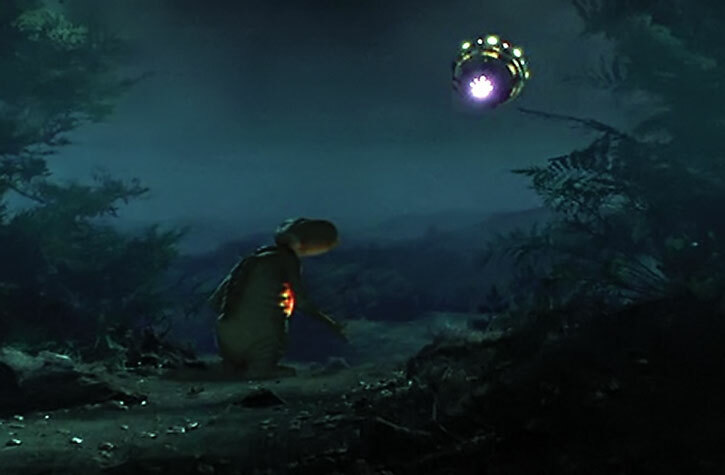 This is the moment he accepts E.T.’s inviting empathic link. All members of the group can feel the other member’s feelings. For E.T. and his kind their hearts glow when they are purposefully checking each other’s emotions to see if anyone is hurting. This is essential when investigating alien planets. E.T can also heal with a touch of his finger. 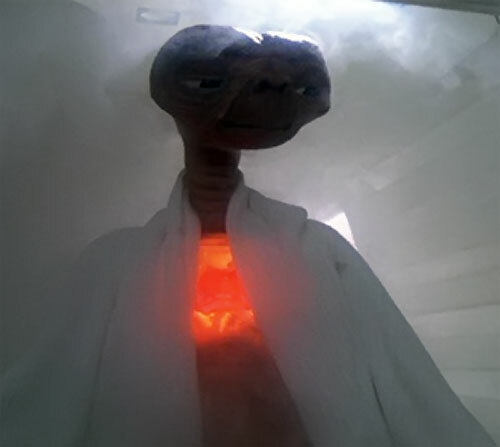 Another benefit of being part of the empathic group is that E.T. may heal injured members at a much greater distance, without having to touch them. The trailer (in 720p) for the 2002 re-issue of the movie. In the forest of California, an alien scientific team 3 million light years from home leaves behind one of their own. This extra-terrestrial person befriends a boy named Elliot. Elliot hides him and helps him learn about Earth. 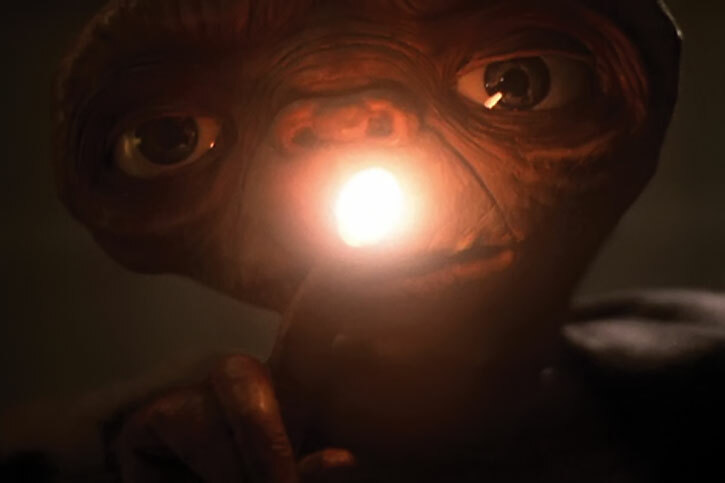 “E.T.” learns quickly and can soon speak some English. A newspaper comic gives him the idea to build a communication device so he can call home. On Halloween night, Elliot, Michael, and Gertie take E.T. out covered in a sheet disguised as a ghost. E.T. and Elliot go into the woods where E.T. 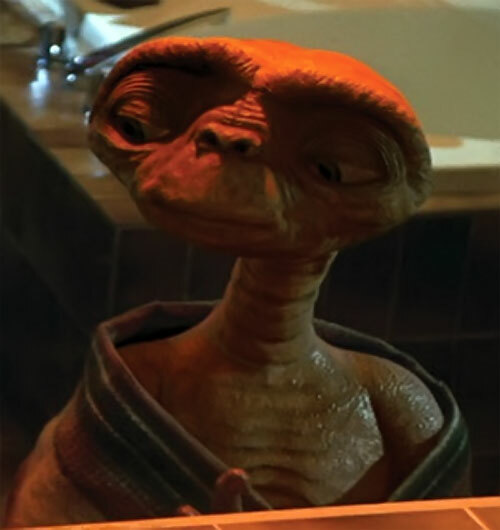 uses his communication device to “phone home”. The next morning Elliot comes home feeling alone and sick. Michael goes searching for E.T. and finds him nearly dead. 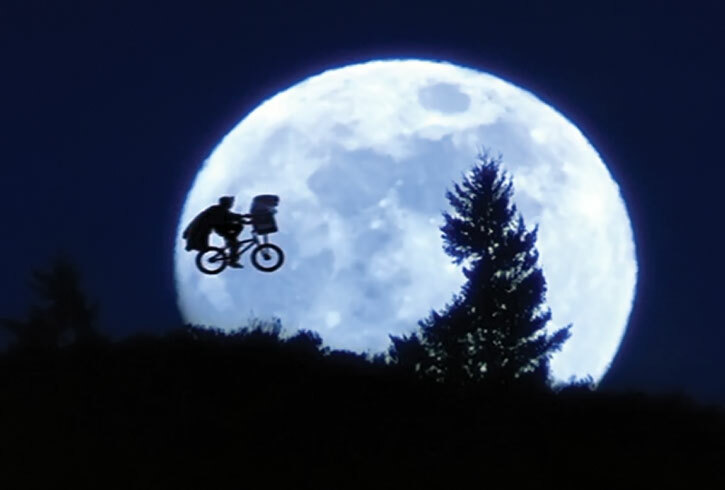 Michael brings him home, but both E.T. and Elliot are sick and possibly dying. 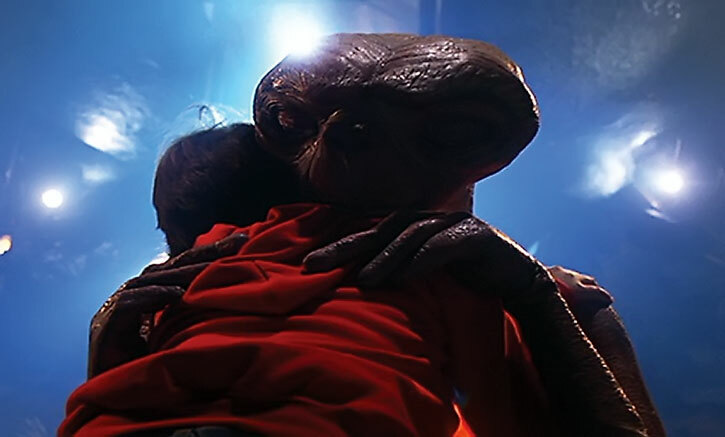 They decide to tell their mother, but Mary becomes frightened and grabs up Elliot and takes him away from E.T..
Before they can leave, the house is invaded by government agents. E.T. wears no protective gear or clothing of any kind. He has been called “squashy looking”. He has 3 toes on his feet and 5 fingers on his hand. Two of the fingers are elongated to more than two times the length of the others. Skin color is brown. 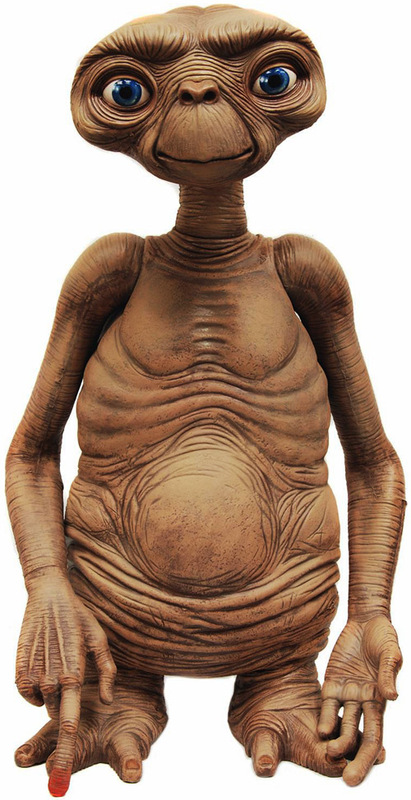 Not something you would know just by looking but, E.T. has 6 nucleotides in his DNA instead of the 4 humans have. E.T. is all heart. He is compassionate to all beings he meets. He has a quiet, curious nature about him and when he is having a good time, he wears a huge grin on his face. Broadcast Empath and Empathy are Elementally linked. Broadcast Empath and Empathy may only be used on beings in his “group”. Broadcast Empath and Empathy once established are always on. Broadcast Empath, Empathy, and Damage Transference have range of 14 APs, however, ranged abilities may only be used on those who are part of E.T.’s group. 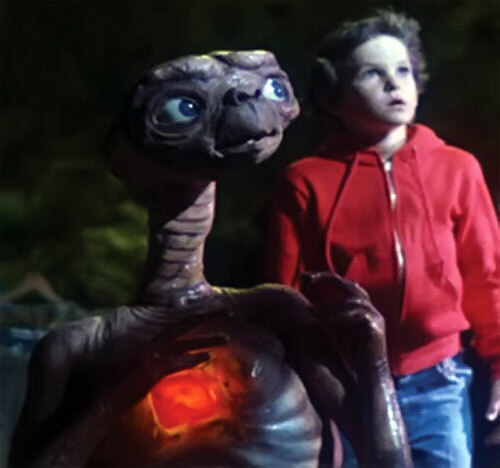 Flash represents E.T.’s stomach glow or a glow at his finger tip. It is red in color and can only be used as steady illumination, it is sometimes accompanied by an eerie sound. Flash is contingent on Broadcast Empath/Empathy or Damage Transference, but Broadcast Empath and Empathy are not contingent on Flash. Stretching only affects E.T.’s neck and may not be used to increase RV or to make grapple attacks. Languages (Broken English); Scholar (Communications). Elliot and his family (High), others of his kind (High). Altered Anatomy, Strange Appearance, Minor Irrational Attraction to eating. 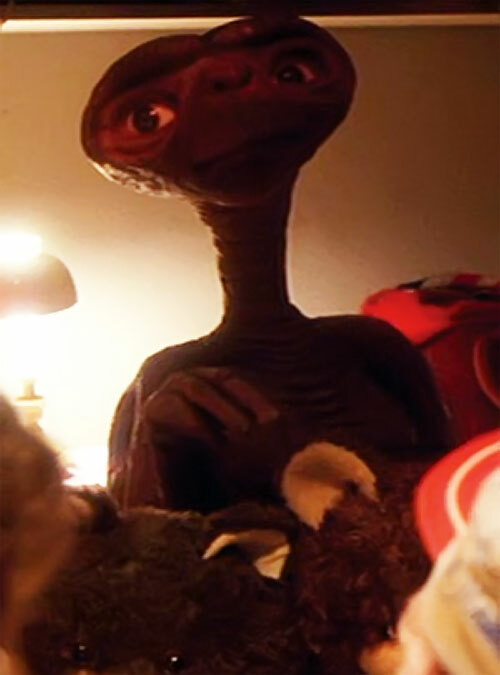 Source of Character: 1982 Movie E.T. the Extra Terrestrial;. Helper(s): Wikipedia; rottentomatoes.com ; Pufnstuff; Adam ; Sébastien Andrivet.